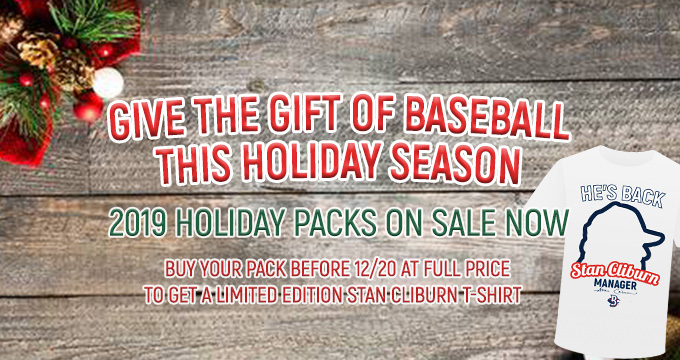 Buy your Holiday Pack before 12/20 at FULL PRICE to get a limited edition Stan Cliburn T-Shirt! By purchasing online, your online order will be shipped within 7 business days. Fans can purchase in person at the Front Office of Regency Furniture Stadium, M-F 9A-4p.